The coax tweeter concentric to the woofer of the MPX 165.3 car audio coaxial speakers allows for one single linear-phase emission point, for a natural timbre providing a detailed sound stage. Thanks to the “Center Tuning Duct” geometry, the tweeter resonance frequency is especially lowand the employment of damping materials for the inside provides for a linear acoustic emission. 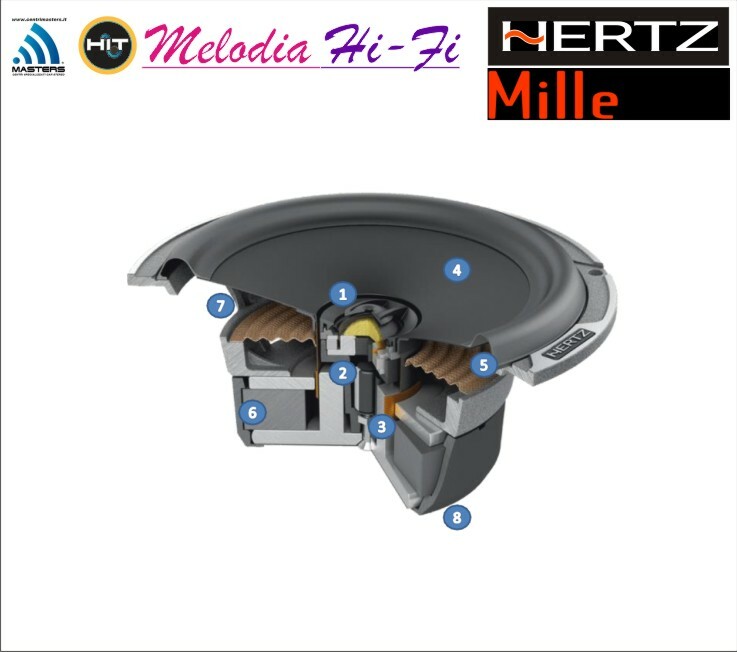 The acoustic lens optimizes its off-axis response, which is typical with door installation of coax speakers; besides, the 36 mm diameter woofer generates deep and controlled bass frequencies.